It is a very simple dough to prepare: buttermilk, flour, yeast, oil, one egg. I halved the recipe (our freezer is already overflowing with bread), and folded the dough instead of kneading it. You can shape the bread in many ways, take a look at the gorgeous dinner rolls made by Oggi (click here . ) 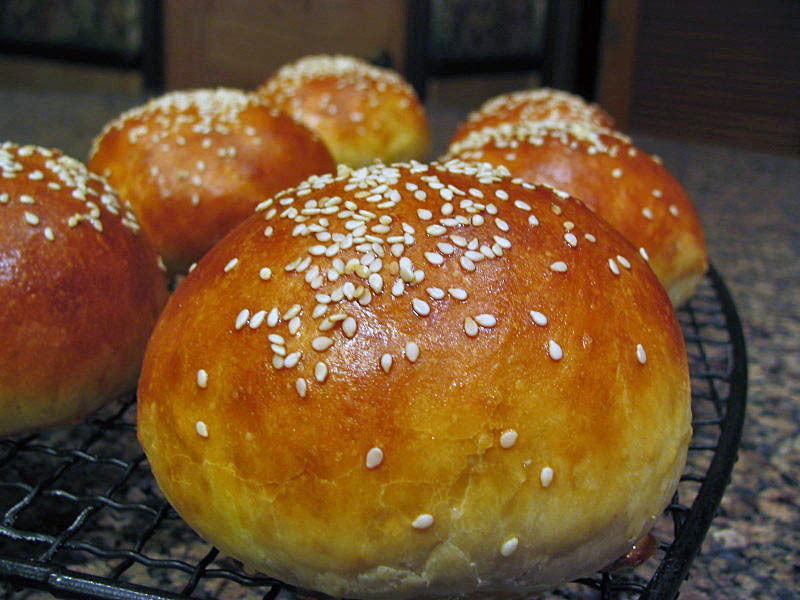 I opted to make hamburger-style buns, brushing them with egg wash and sprinkling sesame seeds on top. They turned out pretty nice, and tasted delicious!